Did you know October was National Cat month? Here at the Cozy Chicks, we're gearing up for a fun celebration of cats (both real and fictional) and a giveaway for both you and your cat! I can't say any more right now because I don't want to spoil the surprise, but I can guarantee that one lucky reader (and one lucky cat) will receive a great gift. I thought I'd tell you a bit about why cats are so important to me. When I tell people I'm a mystery writer, they picture my life as glamorous and exciting, filled with an endless round of power lunches and research trips to exotic locales. What they forget is that 90% of my time is spent hunched in front of the computer, wrestling my characters and plots into submission. A writer's life is a surprisingly solitary one. And that's where my cat comes in. I have eight rescued cats and they bring enormous joy to my life. The spend much of the day with me (when they're not snoozing or just chilling on the glassed-in sun porch) and their quiet presence is comforting. You're never alone when you have a houseful of cats, there's always someone who needs a pat on the head, a belly rub or a quick snuggle. My cats have very different personalities and I enjoy them all. All are rescues, by the way, and I feel very lucky that they have crossed my path. I never planned on having 8 cats (who would?) but now that I have them, I can't imagine a life without them. 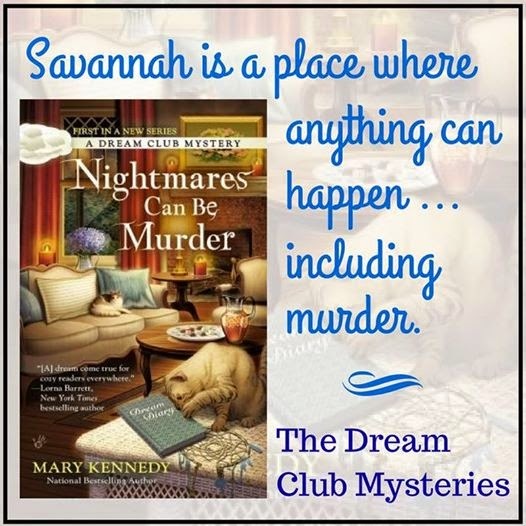 I included two fictional cats in NIGHTMARES CAN BE MURDER, the first of the Dream Club Mysteries. The fictional cats are named Barney and Scout and like my own cats, they have no magical powers, don't solve crimes and are just lovable house cats. You can see them on the cover. Barney may have just destroyed the dreamcatcher, look closely on the bottom right of the cover. Oh no! Because of my cats, I never have to spend a lonely hour at the computer, I have plenty of fur-babies to offer me companionship. 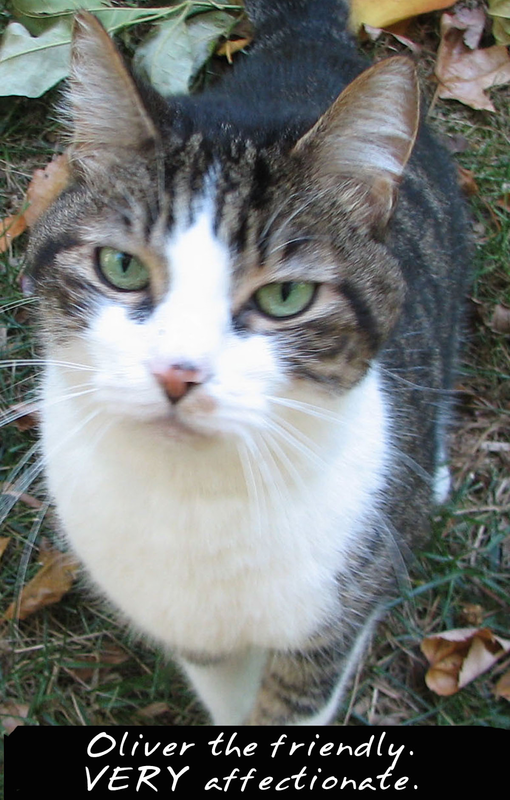 Only 4 cats were featured in today's blog (and let me tell you, the other Kennedy cats are furious!) 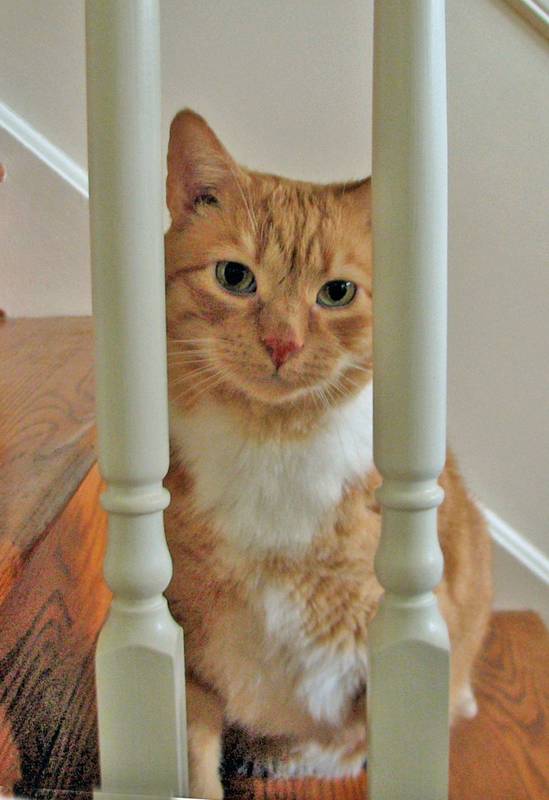 so I'll have to include the other 4 in next week's blog, which will kick off National Cat Month and a fun celebration. Till then, stay tuned, hug your cat, and be sure to tell him or her that a fun surprise might be arriving next month! Hmmm...so October is National Cat Month and also the month I was born. Coincidence? I think not. OK, so if I've got this right, here we have Henry, Calpernia, Oliver and Oscar. Still to be represented are Eliza, Shadow, Clyde and Fur-Face (hopefully they'll forgive me if I didn't get them right). It's true that cats can help keep us from going crazy, and rescue cats are absolutely the best "breed" IMHO. 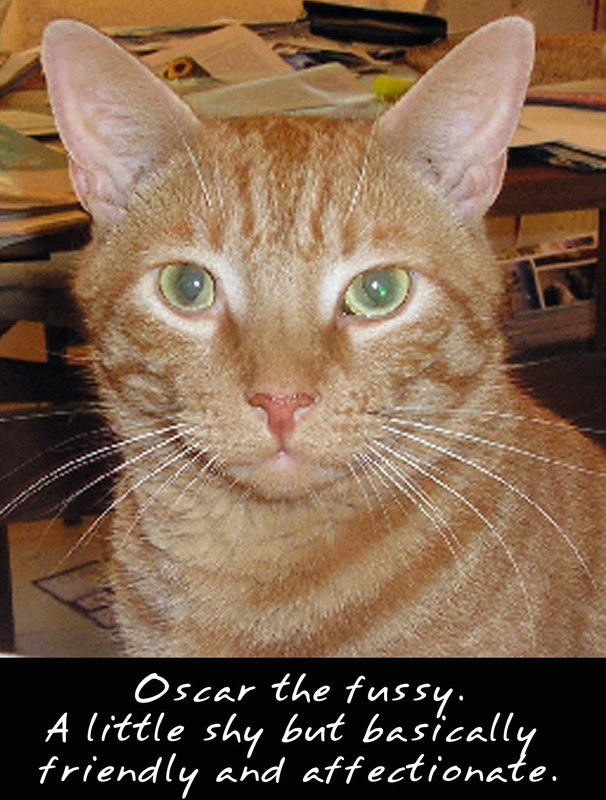 I love hearing about your furry kids - and Leann's kitties Marlowe and Wexford, her dog Rosie and her grand-kitty Simone - and Ellery's kitties Sherlock, Watson and Jasper - and all the other Cozy Critters, too numerous to mention. And then there are the fun stories your readers post about their pets. No wonder we all get along so well. Socrates (Socks) and Princess Isabella (Bella) send their best to your kitties, and are looking forward to hearing about the new giveaway. Hi Lynda, thanks for stopping by! Say hi and give smooches to Socks and Princess Isabella! If only we lived closer, they could drop by for a play date. Actually, now that I think of it, cats never do "play dates," do they? Yes, you're right on the kitty names. The other four will be featured next week. They're getting quite impatient with me! Aleister, Calumet, Licorice, Mariusz, and I are looking forward to reading all about cats next month. As for National Cat month...isn't that every month? Who let the cats in????? We are outraged. Signed, Daisy and Lily the Dachshunds. So sorry, Mary! Couldn't stop the dogs in time before the pressed PUBLISH. They have a thing for cats. But I LOVE your kitties - they have such dignity as well as being gorgeous. No treats for my bad doxies today. Beautiful kitties! Looking forward to more pics. You know how I love your kitties! If ONLY I could have 8 cats. But my husband would never agree. Getting a third one in the house with Marlowe needing so much care means we'll be a two cat house, I'm afraid. Great pictures, too! They cooperated! We have four cats! Salem, Edgar, Catterina, and Izzie. I work from home too, I love their company. HI Nancy, that makes it very tough, wish I knew a solution! I'm sure they're both grateful for their wonderful home with you, but you must feel like a referee! Hi Dawn, That's very nice that you have 4 cats and what cool names!! Love them. Be sure to post photos when you can. Thanks for stopping by. Pep the Pug sounds adorable, I had a dog named Pugsley in the Talk Radio Mysteries. I based him on a neighbor's dogs and insisted she tell me funny "dog stories" to use in the book. Her dog (also named Pugsley) could be sound asleep, rooms away, but if you opened a potato chip bag or a carton of ice cream, he was there in a flash! I'm so glad Marlowe is doing better, he is such a gorgeous boy. And I loved that photo of him wearing a photo of one of the Cats in Trouble books around his neck. Trying to get 8 "good" photos was something of a challenge. I have a new respect for photographers who specialize in taking pictures of pets! Thanks for stopping by, Leann. HI Patricia, next week will be the B list cats (just kidding, they're all A-list, I just ran out of room. Thanks for stopping by. Oh, I think you should forgive the Doxies. When I see them in those little fedoras, looking like they're straight of a noir mystery, I think I would forgive them anything! Wow, didn't know October was National Cat Month. Great to know. And life would be very desolate without my 5 feline friends. They're the best. That's fantastic that you have five kitties bjbangs. Cats rock (and they seem to know it) Thanks for stopping by. Tyler Rose, Maggie Mae, Webster Alvin, Diego Santiago, and Dewey Lewey with me looking forward to celebrating National Cat month in October along with my birthday and Tyler & Webster's adoption anniversaries. And all rescue. Love them all! And Nicky, Cici, Sassy my rainbow bridge cats! I love the story of your kitties!!! My Sylvester is also a rescue, orphaned at birth.......he makes me laugh everyday. As a widow, it means that I do not come home to an empty condo. I know I'll hear the click-click of his paws as he comes to greet me when he hears the key in the lock. Sylvester and I look forward to celebrating with you and your household - will we be able to share photos too? Hi Linda, you are truly a fellow cat lover!! Thank so much for stopping by. I like the idea of celebrating adoption anniversaries, very sweet. Hi Joan, yes, of course, there are more photos to come, and if send a photo of Sylvester, I'll be glad to post it! What a great name for a cat, Sylvester, I love it. So glad you rescued him. MOUSES! I had no idea that October was National Cat Month. Hope it is up here in Canada, too. If not, I'm gonna have to do somethin' about that. My kitten will be happy to know this is his month :) he'll be 6 months old too. Getting to be an old guy already lol. He's keeping me young though so I must repay him this month for turning back my time. 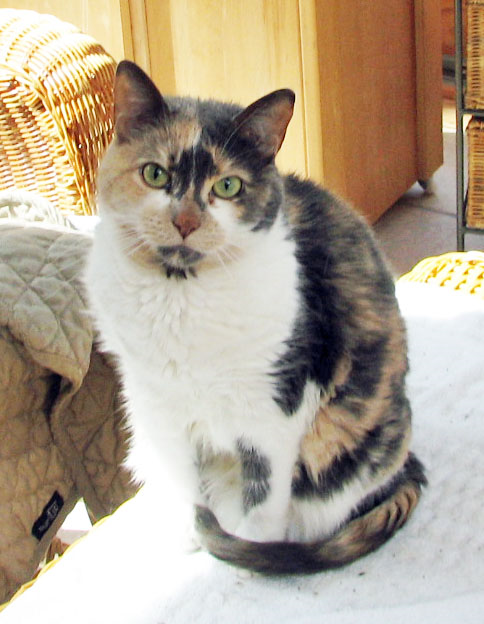 My last cat was 14 yo so hope this kitty has a long & healthy life ahead as I wish for yours & all cat fans out there!! I hope so, too, Rumeur, he sounds very cute! Hi NIssy, yes, we can't leave Canadian cats out, maybe you can start a National Cat Day in Canada. Good idea!